The new Voigtlander 110mm f/2.5 Macro FE lens for Sony mirrorless cameras will start shipping on December 7th, 2018, which is currently available for pre-order at B&H, Adorama for $1,099. $150 off on Voigtlander 10mm f/5.6 FE Lens: $949 at B&H, Adorama. 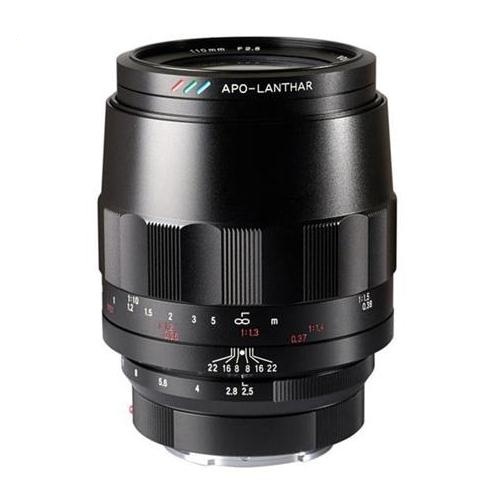 $150 off on Voigtlander 12mm f/5.6 FE Lens: $849 at B&H, $749 at Adorama. $100 off on Voigtlander 35mm f/1.4 FE Lens: $699 at B&H, Adorama. $150 off on Voigtlander 65mm f/2 FE Lens: $849 at B&H, Adorama. Read more: Sony Camera Black Friday & Cyber Monday Deals 2018.